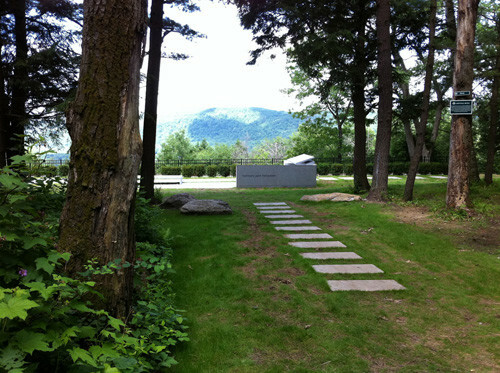 The grounds at Tanglewood are a treasure for running. When there’s not an event there, one is free to enjoy the fields and meadows. We recommend a lovely fall run in the Lenox/Tanglewood area, incorporating the Tanglewood grounds, and Kennedy Memorial Park, which is 2.5 miles away. 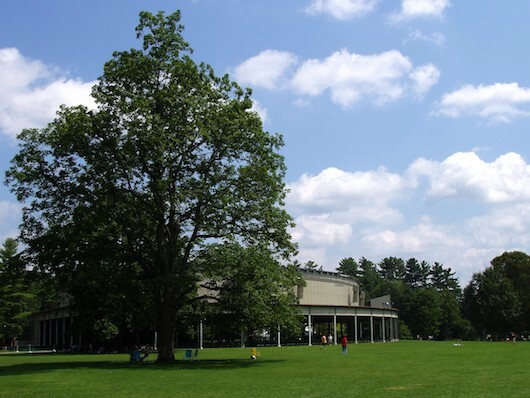 You can put together 1-2 miles on the Tanglewood Grounds. Then, head over to Kennedy Memorial Park. A good option is to follow the trails along the ridge for about 2 miles until reaching Reservoir Road, from there, loop back northeast on the Aspinwall trail, which will bring you back to the starting point. We’ve put together a loop incorporating the connectors between the two parks.